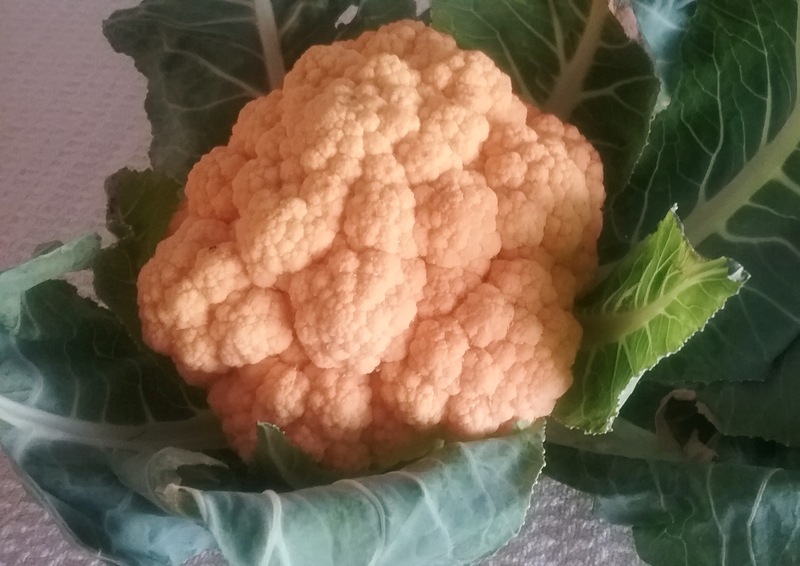 While prowling the farmers’ market recently, one glance at a startling yellow cauliflower told me I must have one. Its dappled pale buttercup color was so surreal it looked hand painted, and I instantly knew what would become of it. 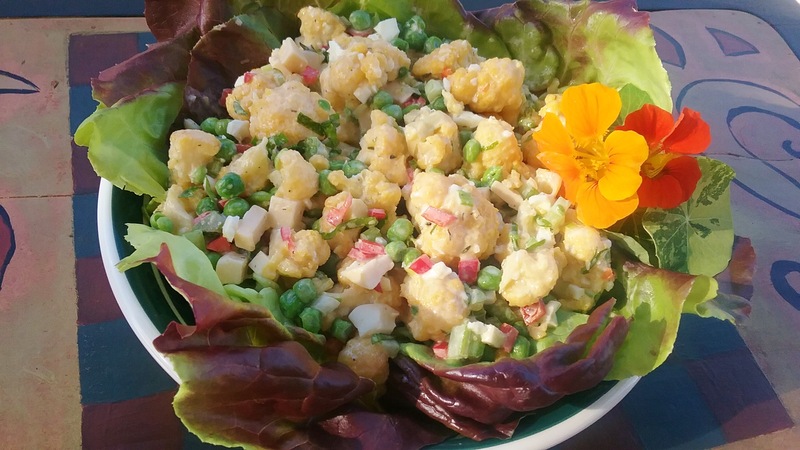 For some time now, I have been tinkering with the idea of a cauliflower salad reminiscent of a Danish-style potato salad I used to make for picnics and barbecues. It was particularly popular for catering because it also included a few green peas, a little red pepper for color, and small cubes of cheese. Later in the day, I ended up steaming the cauliflower florets for 3 minutes in my Instant Pot pressure cooker, and then used the quick release to avoid overcooking. Out of the pot, I drizzled the hot cauliflower with a small amount of Dijon vinaigrette/marinade; just enough for the flavors to absorb as it cooled down. Meanwhile, additional vegetables and a hard cooked egg were quickly prepped. 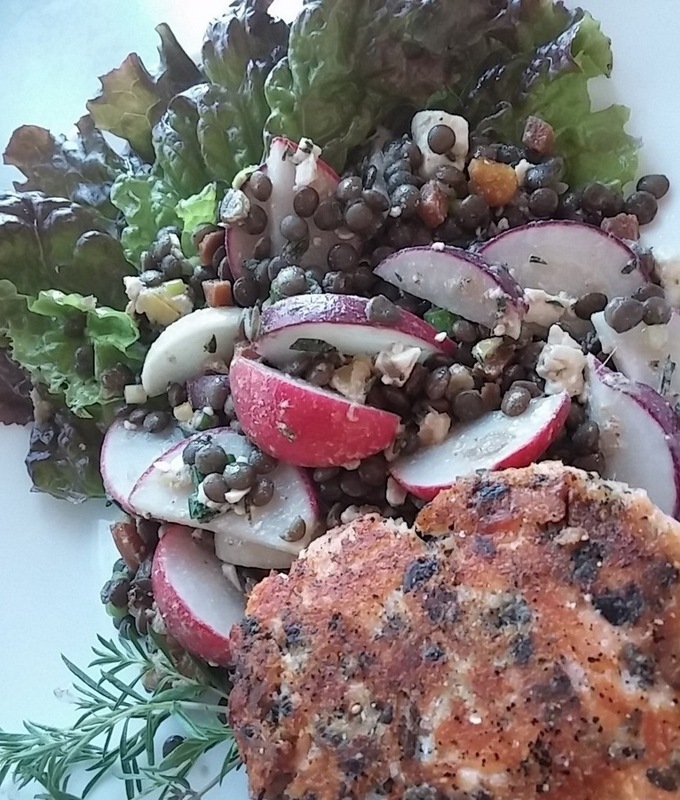 When all ingredients were combined with the vinaigrette flavored mayonnaise I was glad to note that it required far less binder than a typical potato salad. 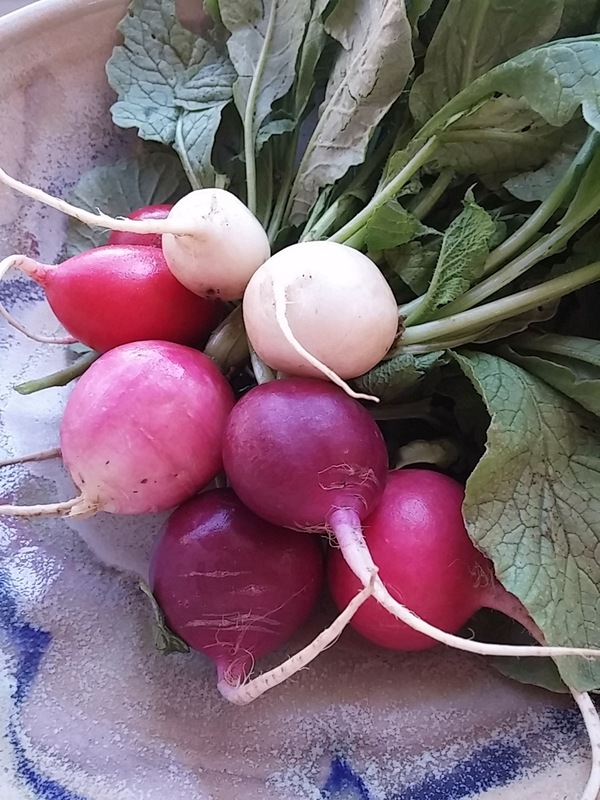 A quick taste test revealed a light, well-flavored, refreshing salad. It was not a dreary, heavy, non-descript mound lacking any food value. This was most definitely worthy of becoming the next generation potato salad. 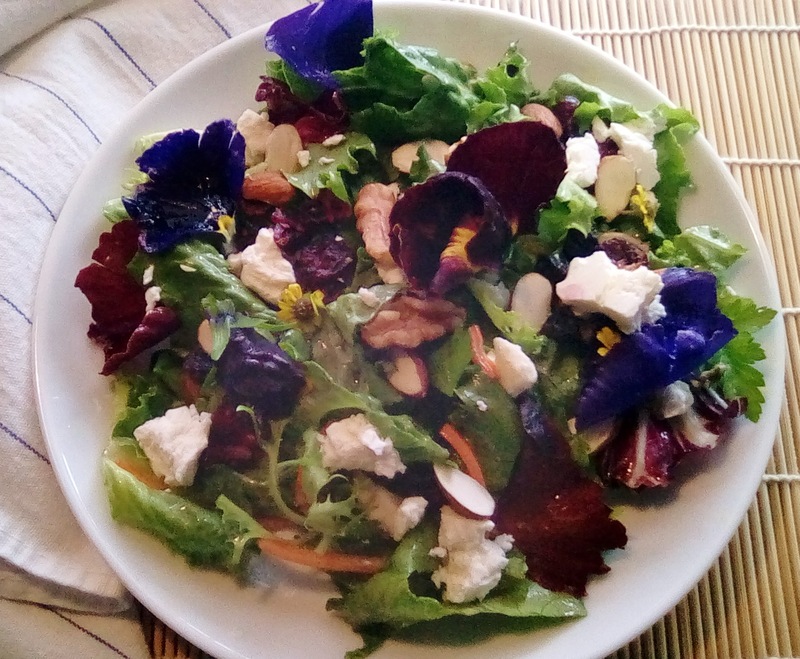 In no time, the gorgeous salad was in the fridge getting a good chill on—ready and waiting for grilled burgers later. 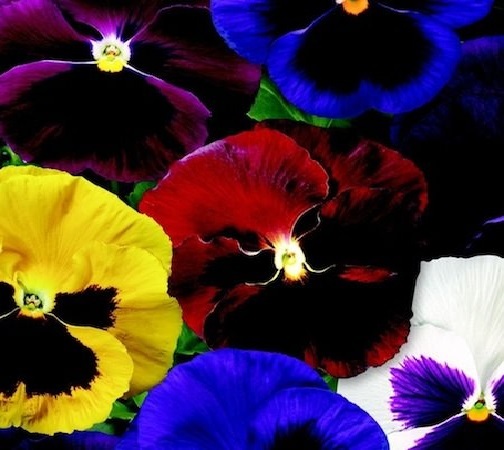 Steam the florets using your favorite method. Or, using the Instant Pot pressure cooker, line bamboo steamer baskets with cauliflower leaves and divide the cauliflower evenly. Stack them, cover top with foil, and place on trivet. Add 1 cup water to the cooker and steam for 3 minutes. Meanwhile prepare vinaigrette. Whisk the mustard and vinegar with salt, pepper and thyme to combine. Slowly whisk in the olive oil until emulsified and thick. When steaming is complete, use quick release. Remove cauliflower from steamer, place in salad bowl add peas, and toss with 1-2 tablespoons of vinaigrette, just enough to absorb into cauliflower. Let cool, about 20 minutes. When cauliflower is cool, add celery, onions, red pepper, parsley, Gouda, and egg. Add 2-3 teaspoons marinade to mayonnaise to thin slightly and pour over the cauliflower mixture. Toss to coat well and chill 1 to 2 hours. Serves 4 or more.